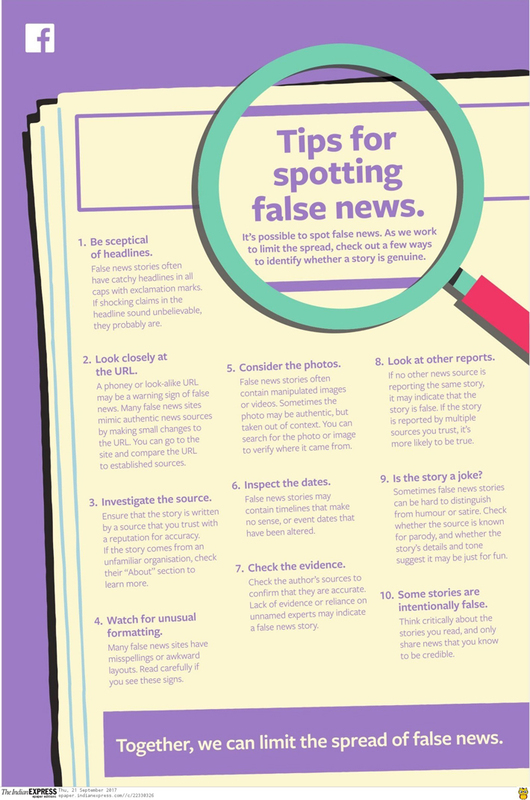 Social media giant Facebook has offered “tips for spotting false news” as part of its campaign to combat spread of misinformation. 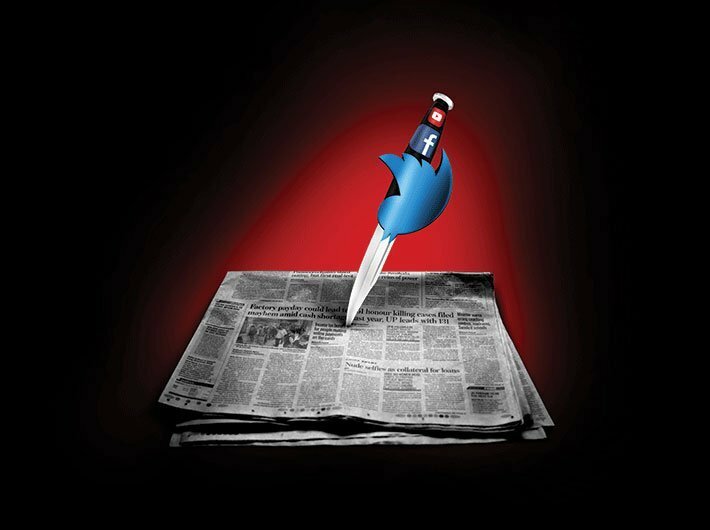 In recent years, especially after the last year’s US elections and Brexit referendum, cyberspace – independence website, blogs and social media platforms like Facebook and Twitter – have been awash with mischievous posting masquerading as news and tilting public opinion at will. The mainstream media too have often fallen prey and given authenticity to false news. This trend is so powerful that it is now seen as shaping global political equations. ‘Post-truth’, in a sense – fake news, became the word of the year in 2016. Facebook too has courted controversy over alleged bias in its news streaming during the US elections. Against this background, the FB print advertisement campaign is a significant development. 1. Be sceptical of headlines. 4. Watch for unusual formatting. 8. Look at other reports. 10. Some stories are intentionally false.